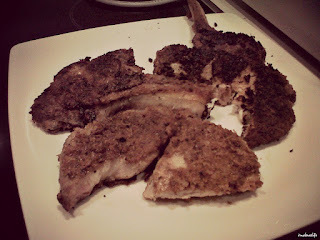 The "ghost month" is over. Well, the Philippines believes in this so much. They somehow blame all the the month's misfortunes on that belief. There was the non-stop rain and flood, the plane crash of Sec. Robredo, and the earthquake. My take on this, I simply do not believe in the "ghost month" concept. I put my trust and faith on my God instead. August had been a wonderful month. And the last week brought us several visitors. It was overwhelming but so much fun. I have two homes. 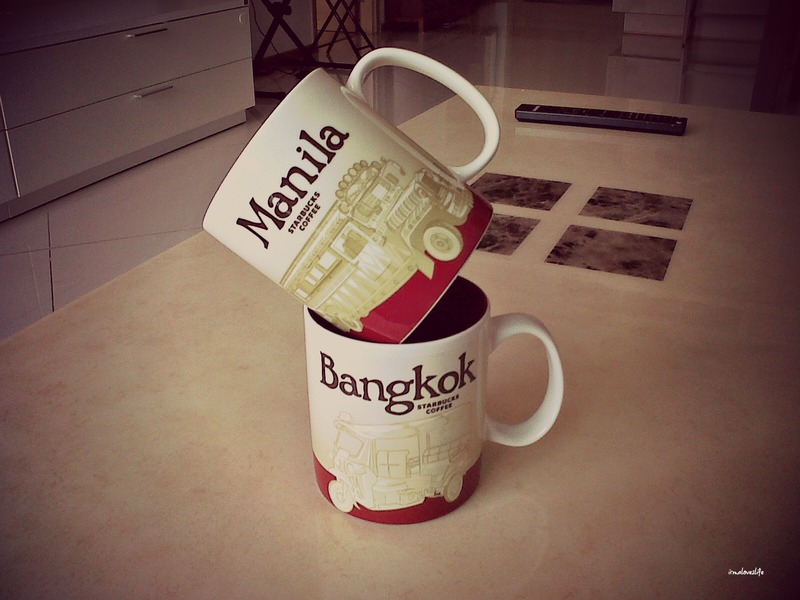 My heart will always be in Manila but right now home is in Bangkok where my two boys are. 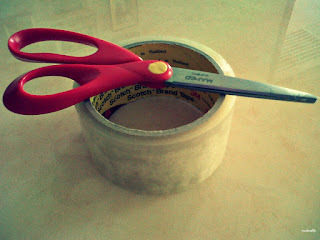 I was packing stuff for mailing and I needed a pair of scissors paired with packing tape. 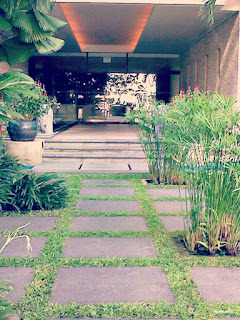 This path leads to the Krungthep Wing of the Shangri-La Bangkok. My son and I got to hang out at the garden while waiting for my husband. 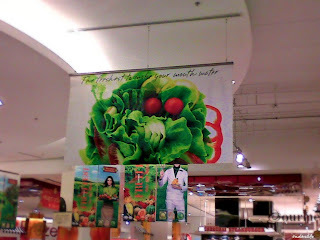 Together with my sister-in-law, we passed by the supermarket of the Siam Paragon to buy pasalubong /gifts. This supermarket just boasts of the freshest produce and fruits. 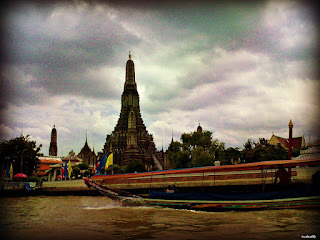 I was with visiting friends going around Bangkok. 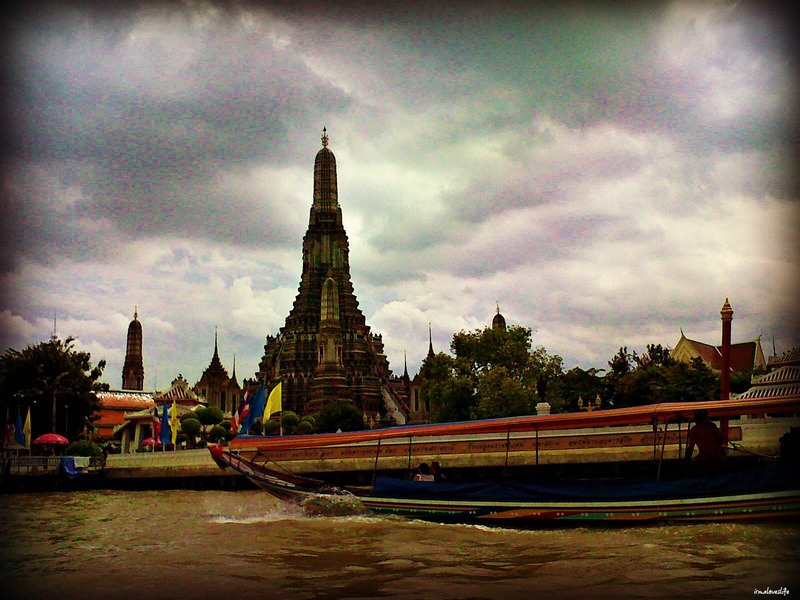 We stopped at the Wat Arun Temple and I took this photo from the boat. 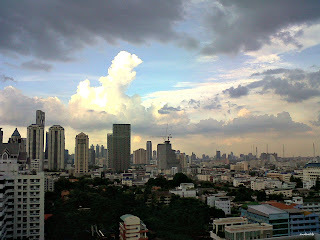 Living in Bangkok is a dream come true for me. 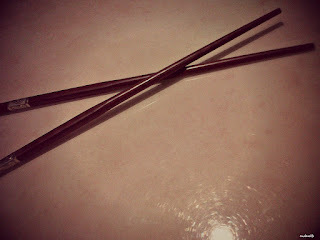 Chopsticks. I am Asian so we fairly use chopsticks a lot. I am left handed so I hold these using my left hand. Our clock was a gift from Jed's eldest sister. 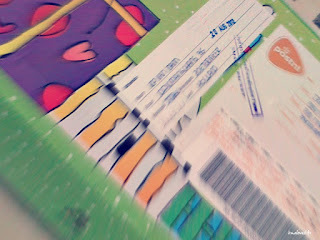 This has traveled with us from Manila, Cebu and Bangkok. I was trying so hard to get back in the routine of exercising. 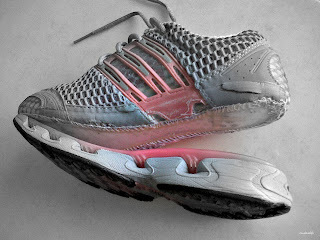 On this particular morning, my shoe broke. Aaargh, this happens to be my favorite shoe. These Starbucks cards from Taiwan were gifts from a fellow collector. 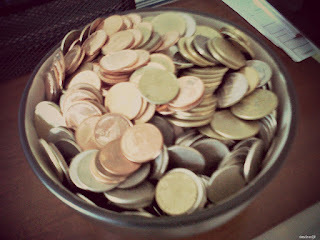 I am still deciding whether to start collecting them or not. 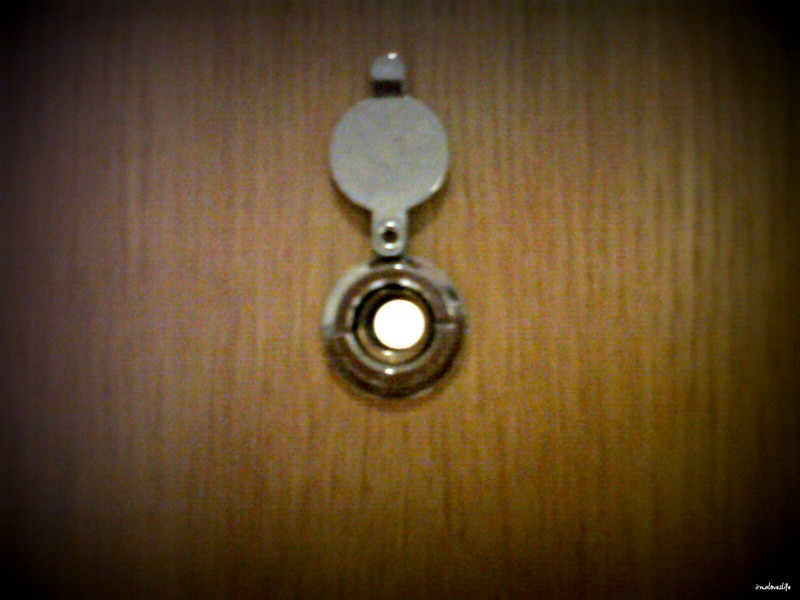 Behind this door lies all our .... JUNK. 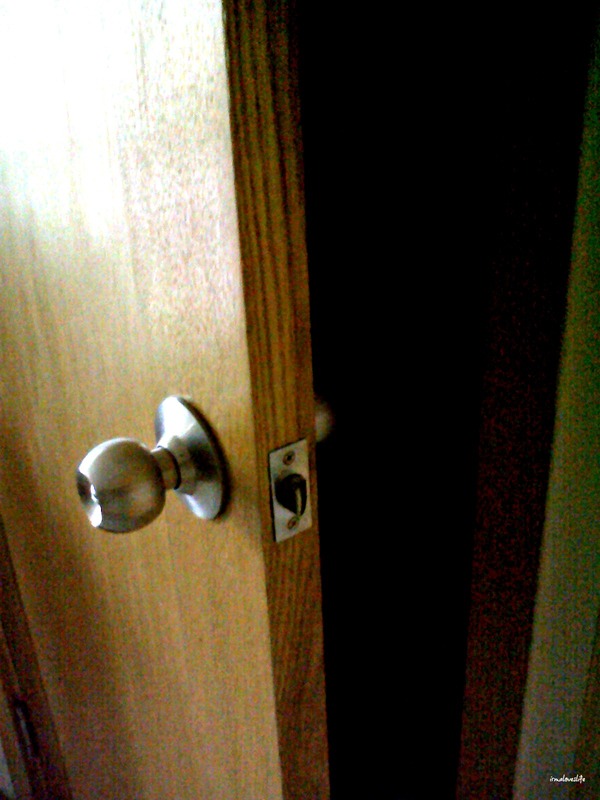 This is the door to our utility/junk room. And just like that, September is here. And in the Philippines, the BER months signals the start of the Christmas season. 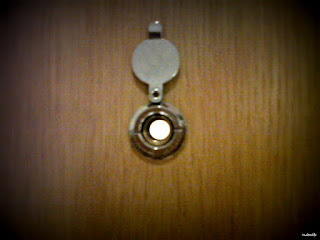 In last week's post, I mentioned I am expecting three sets of visitors. I sure did have a busy weekend. It was fun. I enjoyed catching up with family & friends and meet new friends. Our usual routine when we have visitors is let them experience what it is like to be in Bangkok. 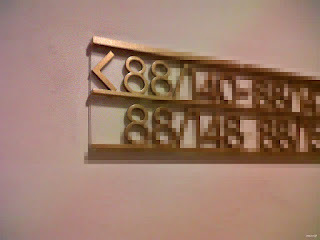 Even if it is simply riding the train. Of course, you can't get away with touristy stuff especially for first timers. 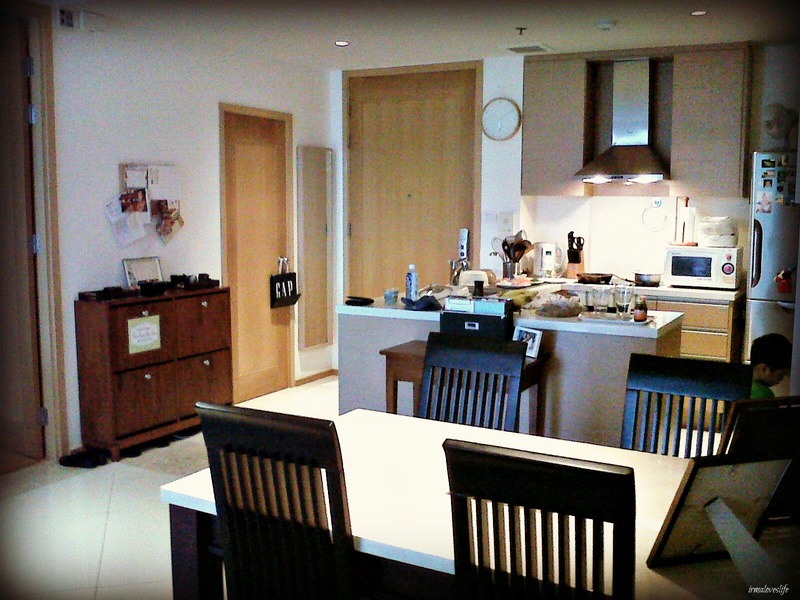 For food, we make sure our guests get to taste authentic Thai food or a dine at a special restaurant in Bangkok. The conversation we have with our visitors is the best part. We get to reconnect with the people we miss. 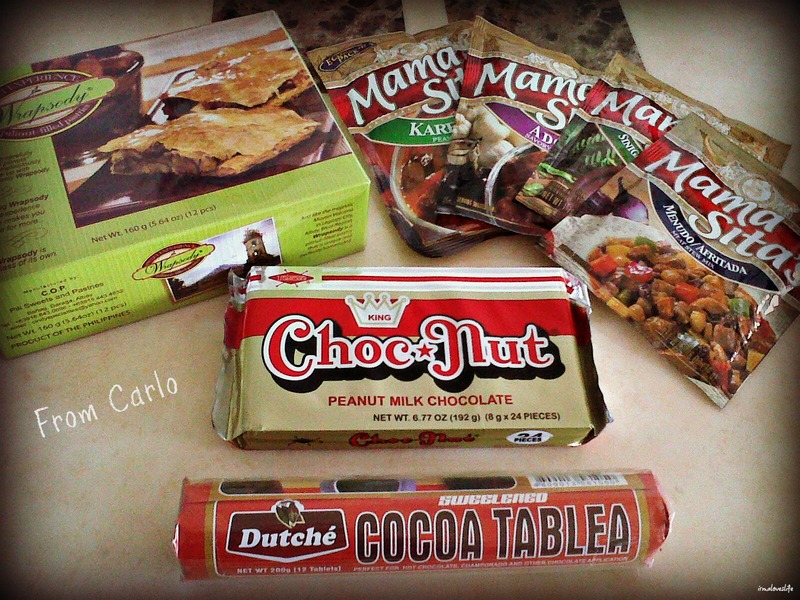 A bonus when we have visitors are their pasalubong and these are mostly goodies from the Philippines. This is from my sister-in-law and is an exception as she is based in Dubai. 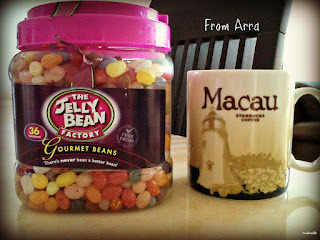 My good friend Carlo brought me these goodies. Next week's menu may include Kare-Kare. 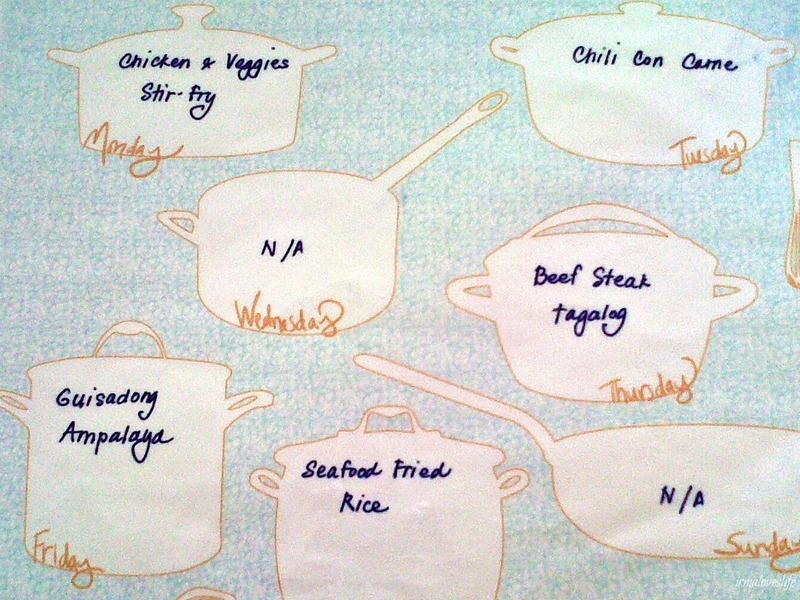 I would have to look up how to cook Champorado as the cocoa tablea is calling out to me. This is the jackpot loot from my collector's group. 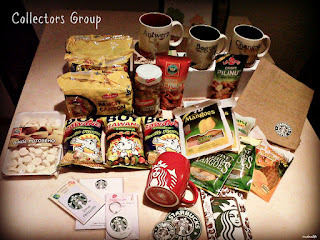 A group of Filipino Starbucks collectors visited Thailand and they brought the Philippines closer to me. So touched when I received stuff from fellow Thai collectors. 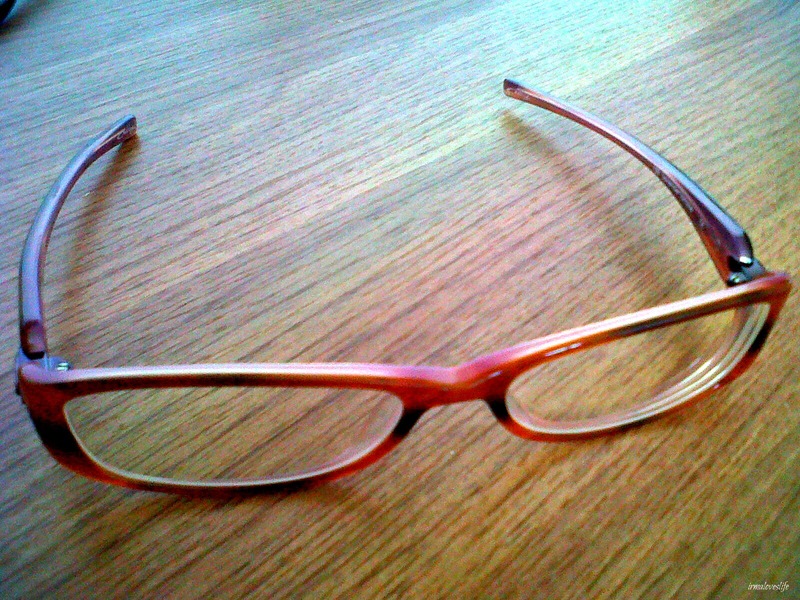 My new found friend Jackie brought me these, too. I love anything bottled - sardines, tuyo, bangus, daing. 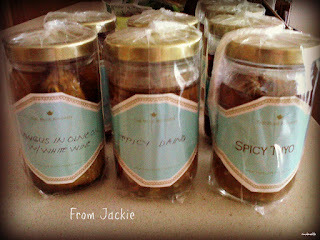 And next week's menu will definitely include pasta with one of this bottled goodies. It seriously felt like Christmas morning. While my home is where my two boys are, I do miss the Philippines. Especially Filipino food. 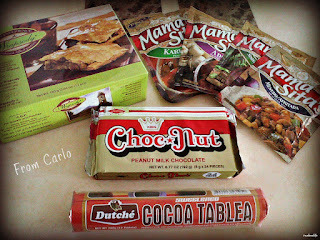 What about you, if you're far away from your home country, what do you miss? 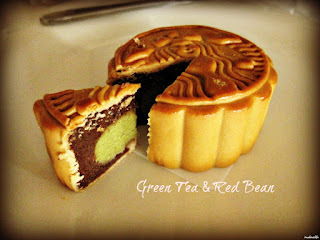 Mooncake is a popular Chinese bakery product which are available during the Mid-Autumn Festival. 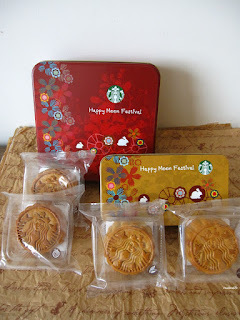 One of the four very important festivals for the Chinese. I am not Chinese though I may look like one. I probably have a little bit of Chinese from my great great grandparents.And I am surrounded by so many Chinese friends and colleagues. 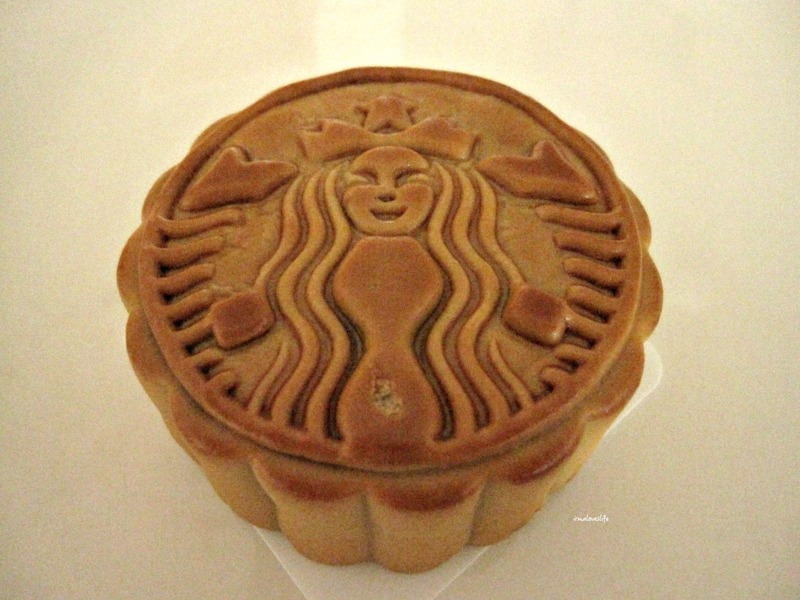 I am clearly not an expert when it comes to mooncakes. I hardly remember the last time I had one. 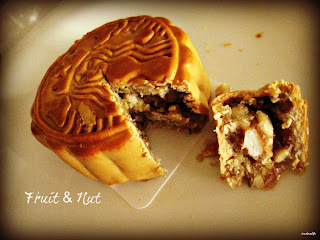 I prefer hopia over a mooncake. Yes, my taste buds are cheap. So this post will not be a review but a point of view from a non-eater of mooncakes. 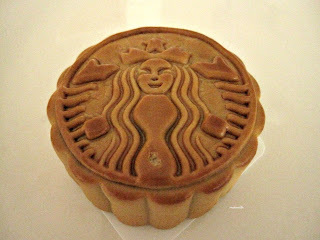 I was not aware Starbucks comes out with mooncakes annually for the mid-Autumn fesival. 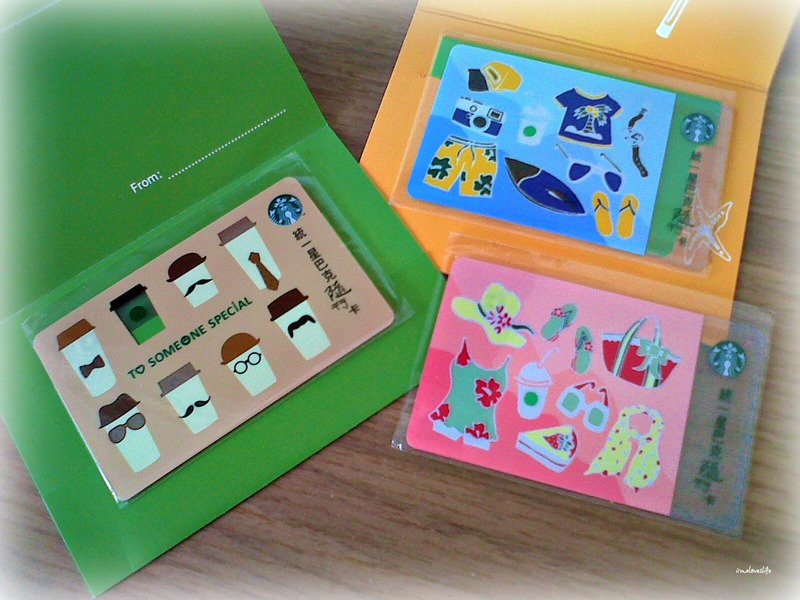 I just learned about it from the different Starbucks collectors groups I am in. Excitement was in the air. I got curious. Starbucks sells mooncakes in Thailand, Malaysia, Taiwan and Hong Kong. Yes, they need to use that mermaid logo. They come in this really pretty tin can. 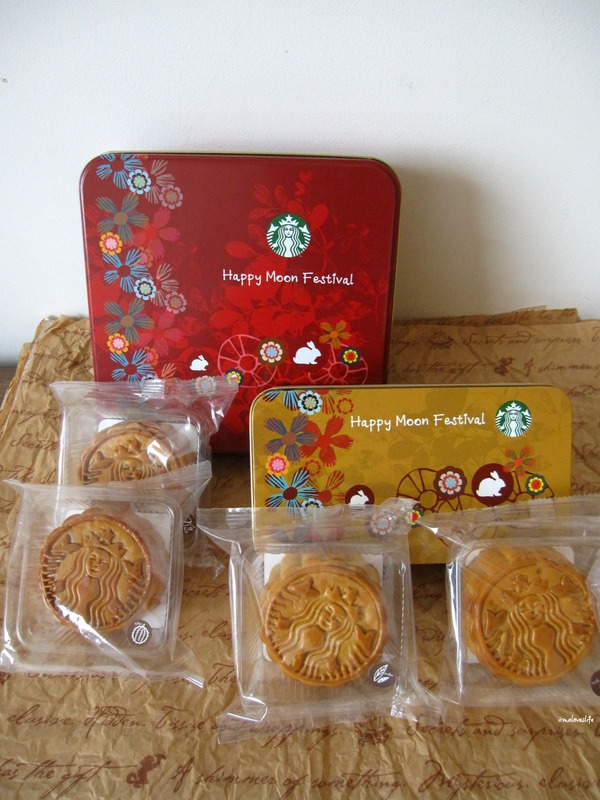 The bigger one holds four pieces while the smaller one is good for two mooncakes. The tin cans come in red and yellow. 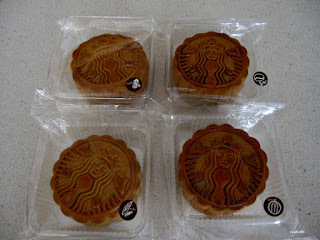 In Thailand, the mooncakes come in four flavors. So how did they taste to me? The Green Tea and Red Bean (135 baht each) is my favorite of the four. Something I would order again. Red bean and green tea are Asian flavors and would definitely make a great mooncake. While I was eating it, it reminded me of my childhood when my father would bring home those smaller mooncakes. It tastes just like those. The taste of the coffee is okay until I tasted the egg yolk. It somehow didn't work together, for me. 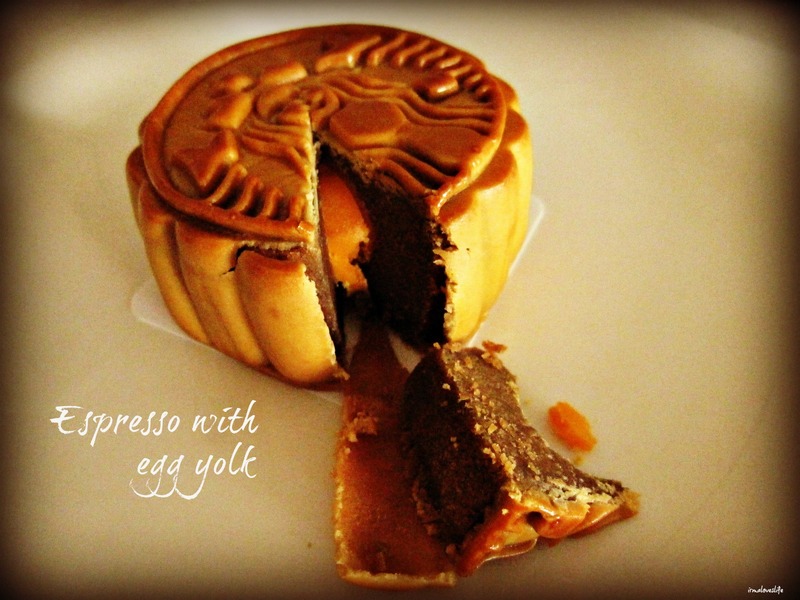 I can eat this flavor though with the egg yolk eaten separately. Now this reminded me of fruitcake. not a fan of fruitcake so this did not sit well with me. Durian is acquired taste, either you love it or hate it. I belong to the latter group. A whiff of the durian smell was enough for me to put down the slice. 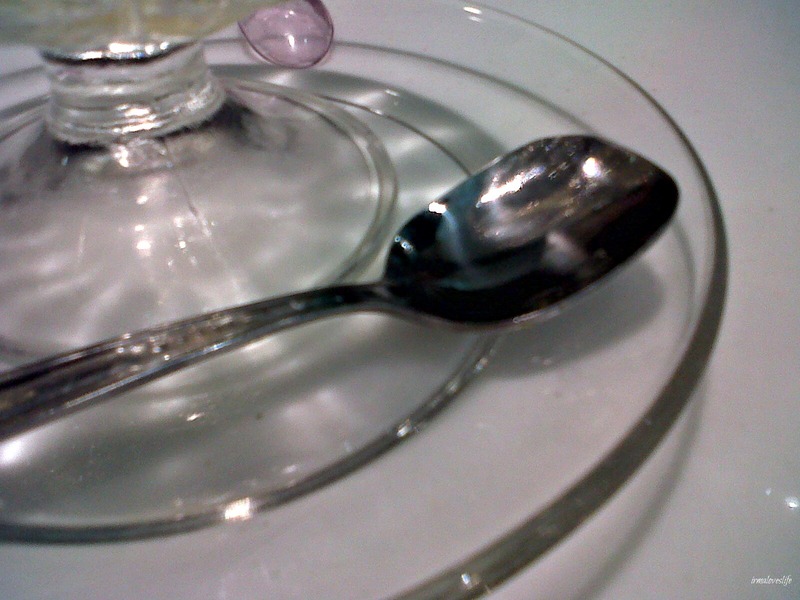 Unfortunately, it did not even reach my mouth. I had fun tasting the different flavors of mooncakes. So I am no longer curious. How about you? 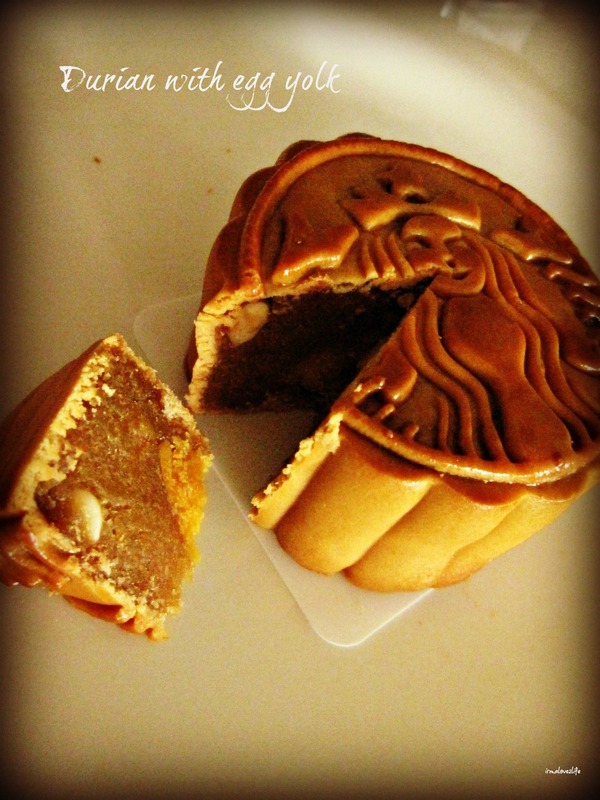 Are you a big mooncake eater? This post is three days late. 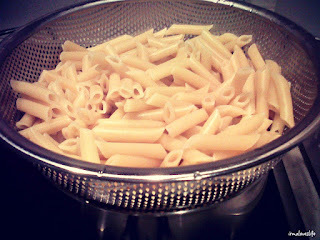 My life as a stay-at-home mom is crazy. I seriously need to regroup. It was Mother's Day weekend in Thailand and the Queen's birthday. 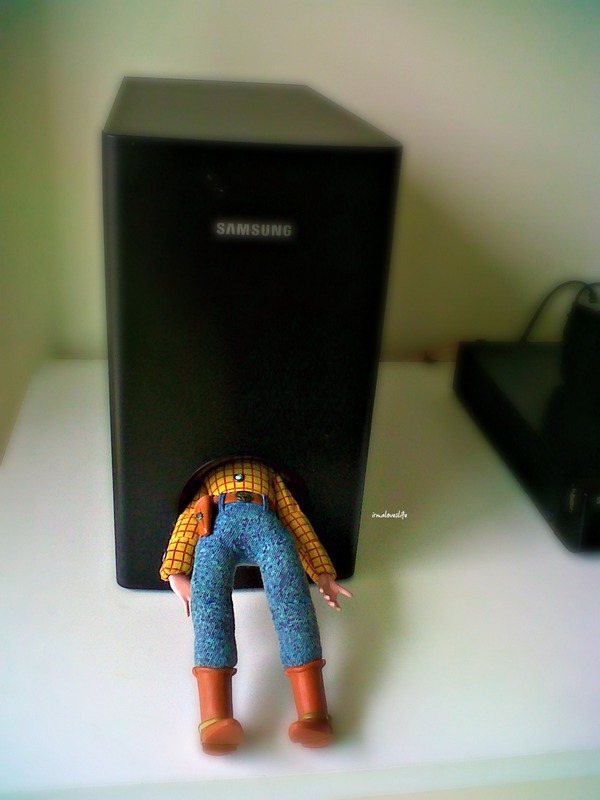 Jed got Monday off. We finally watched The Dark Knight Rises which is now my favorite Batman movie. Anne Hathaway is the perfect Selena/Catwoman. What are you doing? What is that? What happened? I was suffering from migraine. 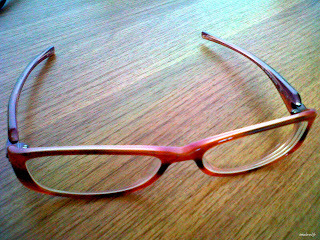 I couldn't wear contact lens so I wore my glasses. I am a neat freak. 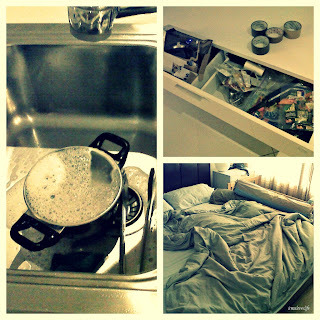 I probably spend a huge chunk of time in a day tidying our home. 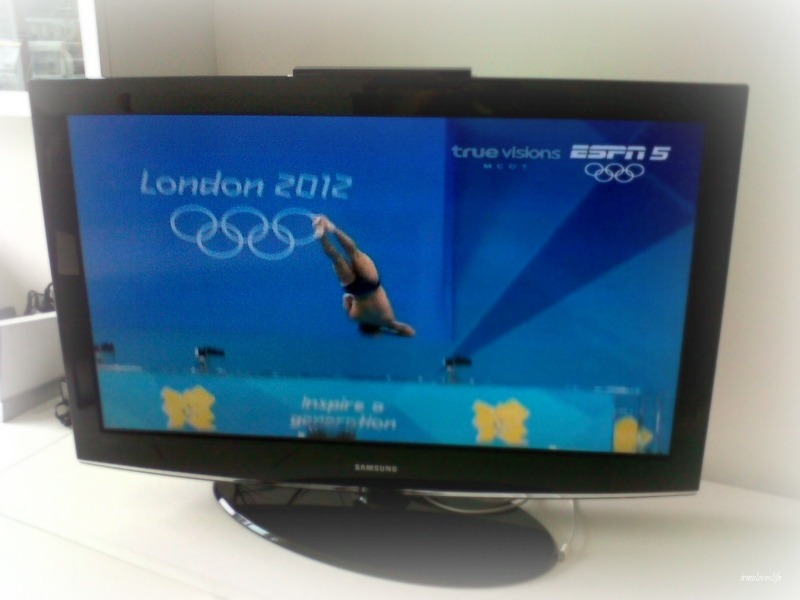 As a huge Olympics fan, our TV is tuned in to the games when it is on. Found this shoe while we were at the Men's Shoes department at Zen in CentralWorld. 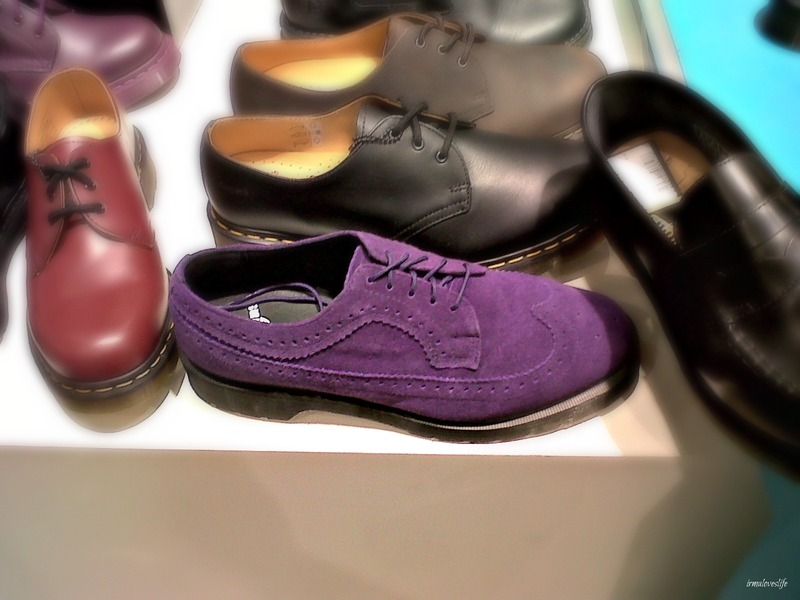 The color surely caught my eye. My husband ordered orange jelly for dessert. He and our two year old finished it off. This is our humble abode. I like how simple it looks. The arrow that leads to where we live. So grateful for the weekend! To my family and friends in the Philippines, enjoy your long weekend. Yes, you read it right. 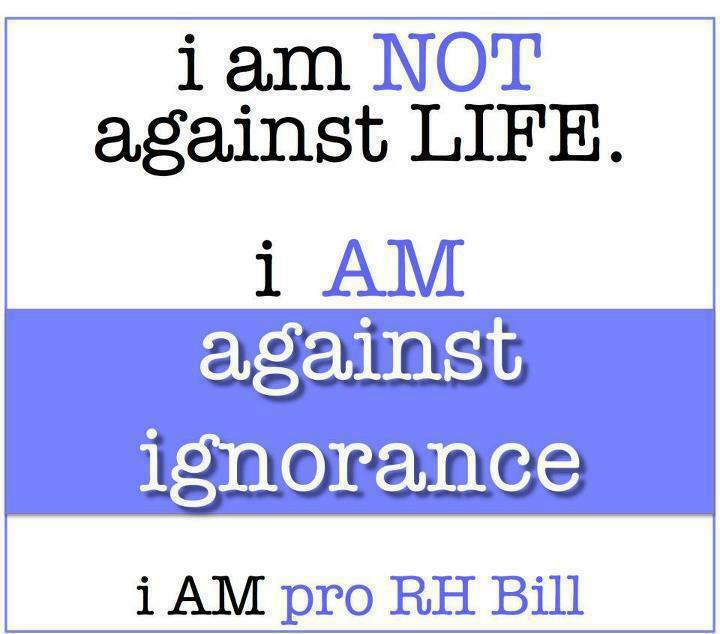 I FULLY support the very controversial Reproductive Health Bill or more popularly known as the RH Bill. 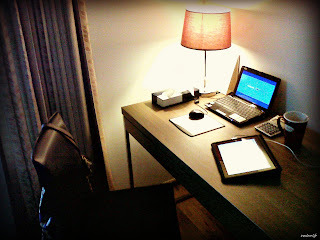 I am writing this post as I think about all the mothers in the Philippines. This weekend is the birthday of Queen Sirikit of Thailand and the Thai nation is celebrating Mother's Day. I thought about Filipino mothers as they will mostly benefit from the RH Bill when passed. It's about time. The RH Bill is not only about contraception. Seriously guys. In the midst of the recent flood situation in the Philippines, I cannot believe how those opposing the RH Bill connected the heavy downpour and flooding to God's wrath. As far as I know, my God is not an angry God. And come on guys, every time you see a rainbow you should at least remember how God said he will never destroy the earth through water or flooding. And we are talking about the Old Testament time, God has then sent His own son to mediate for us. This is the stand of the Philippine Council of Evangelical Churches on the RH Bill. And I fully agree with what Bishop Ef said. Go Bishop Ef! 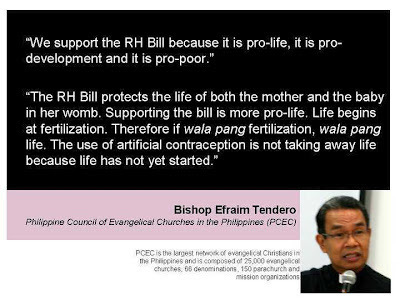 And no I do not think worse will happen to us which the Anti-RH Bill claims. Come on, scaring us is definitely not a Christian trait. Jesus told us to spread His word, not scare people away with it. 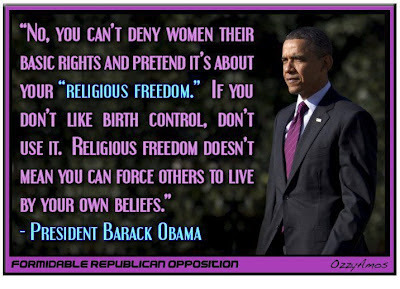 I know this is a photo of US President Obama but what he stated applies to Filipinos. 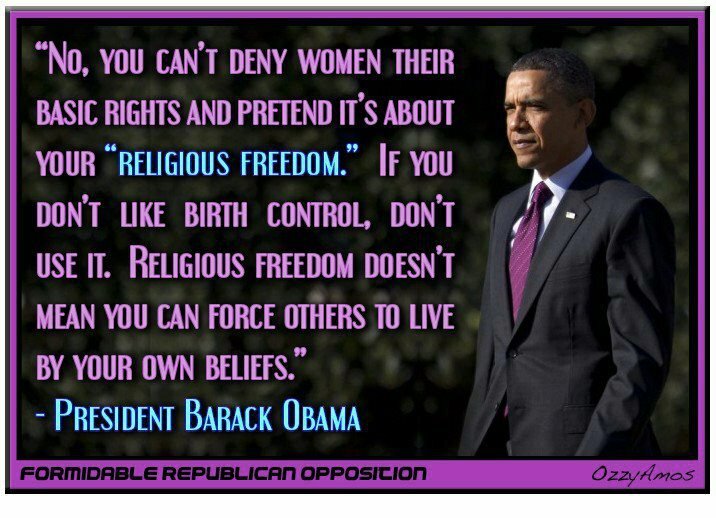 Very well said, Mr. President. If you are against artificial birth control method then you have the freedom not to use it. It will not be forced on anyone. 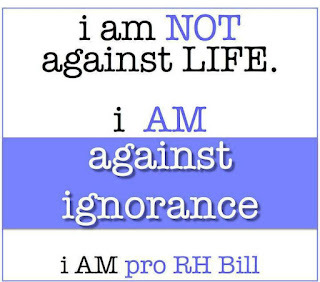 RH Bill is to inform the Filipinos what options they have. The decision to choose is up to each individual. It is now up to the churches to make sure their believers know what will be good for them. If you prepared your members for the real world and if you are as involved in their lives as you should then there's nothing to be afraid of, right? 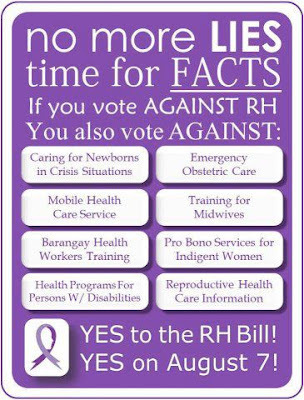 There are so many myths about the RH Bill, please get your facts straight. Okay guys, I will start my long weekend now. 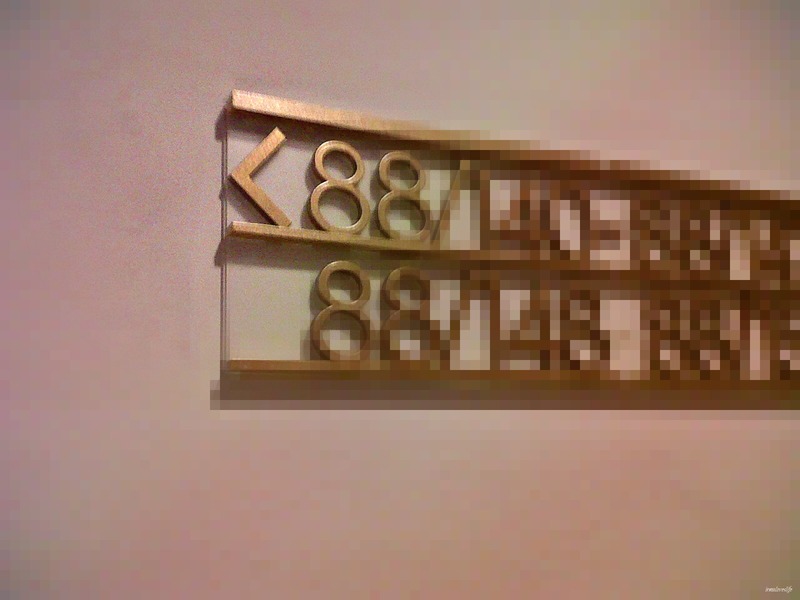 The eight month of the year is here. Some actually refers to August as a ghost month. I see it as a special month. My youngest sibling and only sister was born in August. 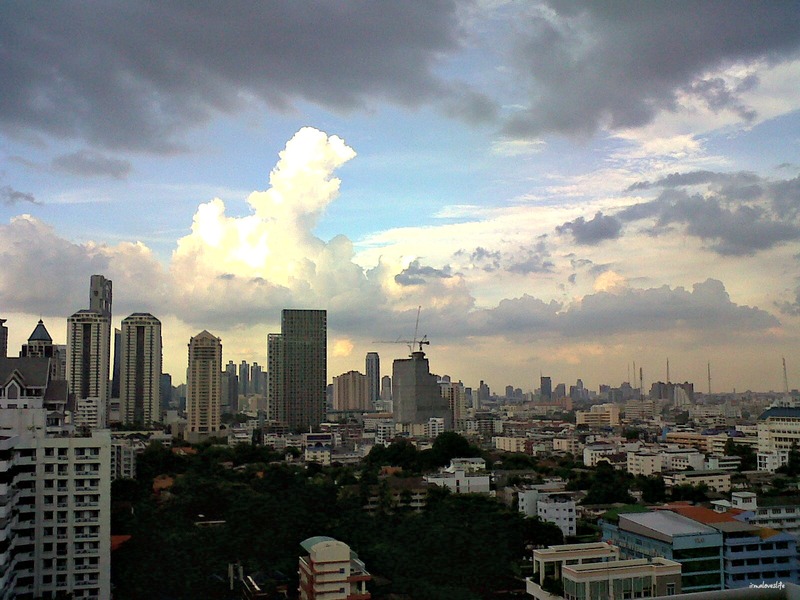 In Bangkok, we had the first of two long weekends for August. 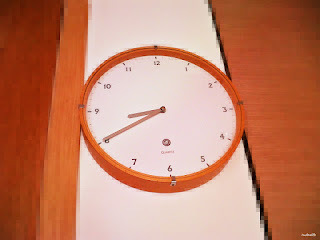 Last weekend was the Buddhist Lent. 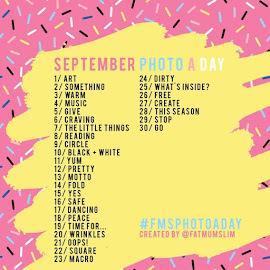 Here is my first week of August in photos. My little boy and I made a trip to the post office to claim a package and mail some items. 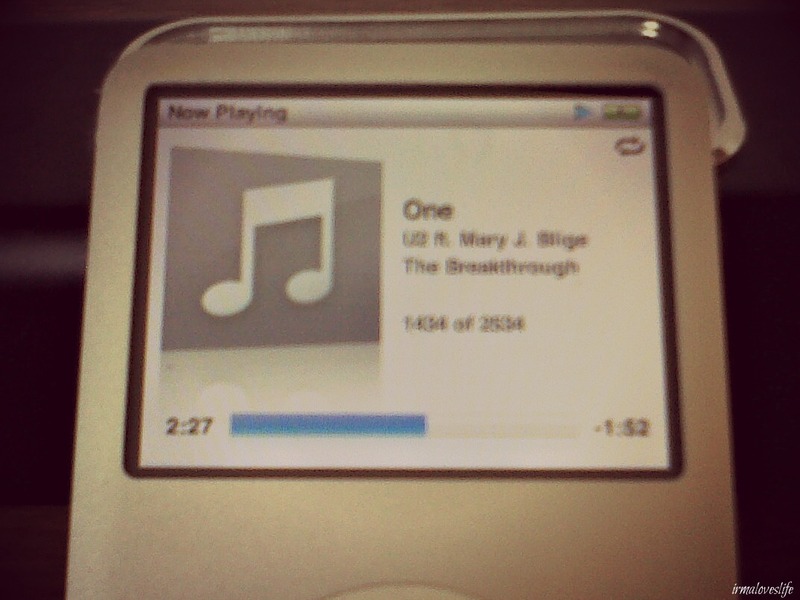 Favorite song is One by U2. 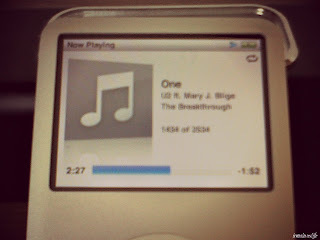 This particular cover features Mary J. Blige. We have a bowl which we fill with spare change. We have been using it since our time in Mandaluyong, then Cebu and now Bangkok. This corner is our so-called home office which is also known as my thinking corner. Sunday is when we go to church. 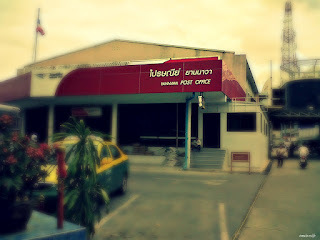 We belong to Every Nation's Grace Bangkok Church. 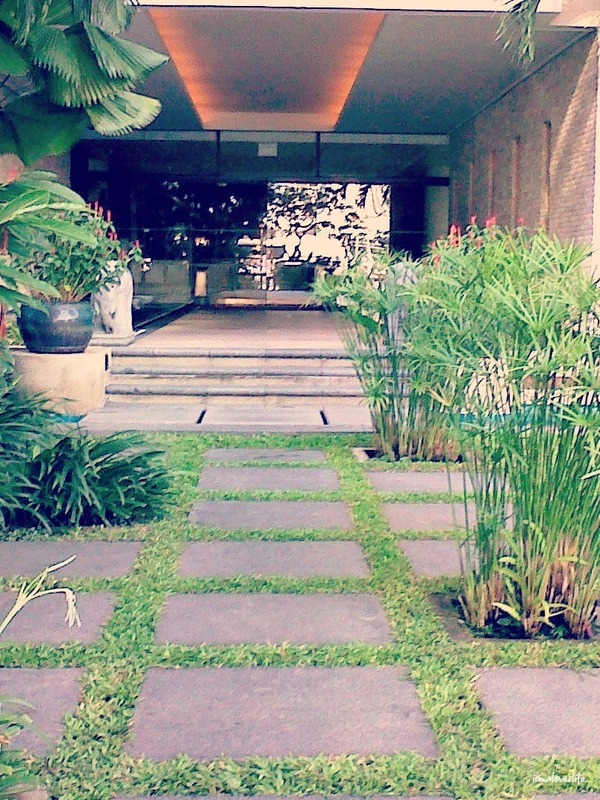 Check us out when you're in Bangkok. Menu planning works for me. 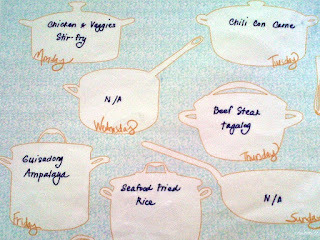 I plan the dishes I will be cooking for dinner for one week. Helps me plan my grocery list for the coming week. This is a time saver. 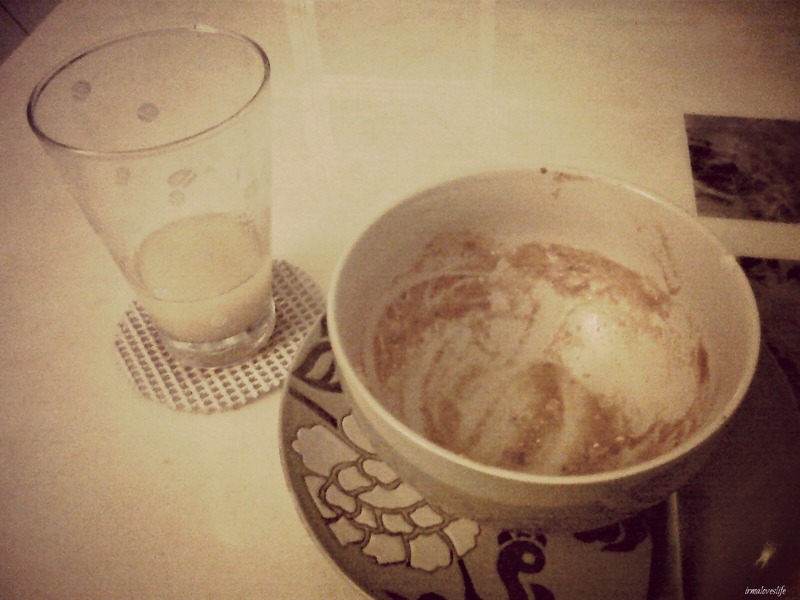 At 8 o'clock in the evening, my little boy and I just finished dinner. 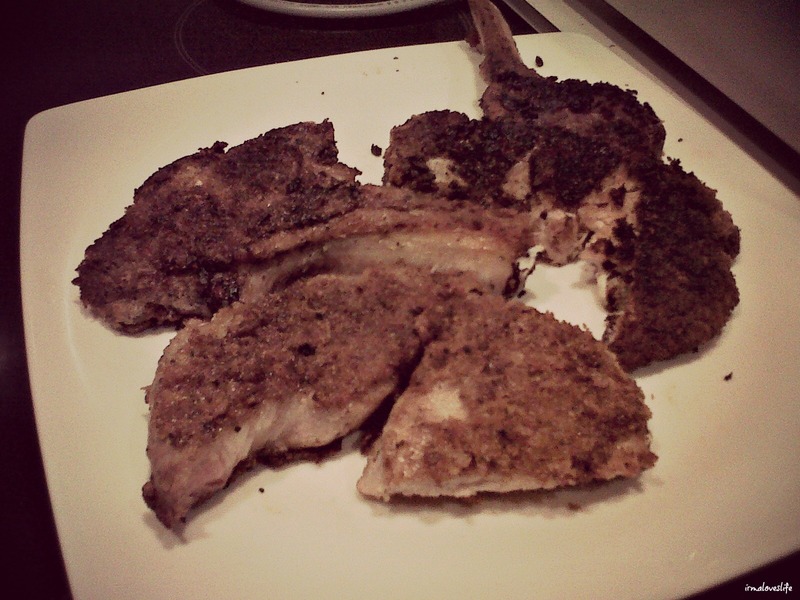 I cooked Chili Con Carne for the first and he loved it. REQUEST: May we all say a prayer for my home country the Philippines who's experiencing non-stop rain and severe flooding. I had been worried about my family in Bulacan all day yesterday. Then the Lord comforted me with these words. How did your first week come along?